While traveling to the Western town of Fort Collins, Colorado, a new bride watches in horror as her husband is swept away in a flash flood. She fears she'll never see him again, but a year later, he walks into town—with a beautiful woman on his arm . . . While traveling to the Western town of Fort Collins, Colorado, a new bride watches in horror as her husband is swept away in a flash flood. She fears she’ll never see him again, but a year later, he walks into town—with a beautiful woman on his arm . . .
Montgomery Cunningham wakens on the bank of a river with no recollection of who he is or how he got the gash on his head. A woman named Stella, who claims to be his fiancée, nurses him back to health. Plagued by images of a faceless woman who he is certain is the key to his past, Monty concedes to Stella’s pressure to marry him and move to Fort Collins, but he quickly regrets his actions. A year after Grace’s tragic loss, Monty walks into the dress shop where she works—with a woman on his arm. Shocked that Monty has no recollection of her, Grace is determined to win back his heart. Somehow she must help him regain his memories and his buried love for her—and not just for her sake but for the sake of their infant son, Ben. 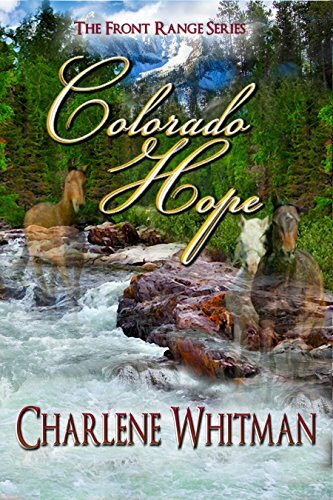 This full-length Historical Western Romance novel takes readers on a heart-wrenching journey of love, loss, and hope amid the dangers and challenges in Colorado Territory’s wild frontier.